"Krushi Jeevan" a special page on agriculture. Thursday: "Vichitra" page on entertainment and film and also a "Yuva Dharitri" page for the youth and the young. Sunday: Chhutidina (Tabloid size multicolor 16 pages supplement with the main paper. With all these packages, Dharitri has got an additional feature to make itself even more special and that is the bilingual business page everyday except Sunday. 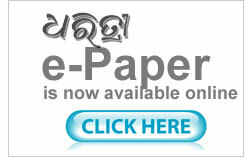 This page has created a sizable readership within the non Oriya reading community residing in Orissa. Due to these attractive features, Dharitri has achieved 150% readership growth as seen in the National Readership Survey( NRS) VI, which is the highest in the country. 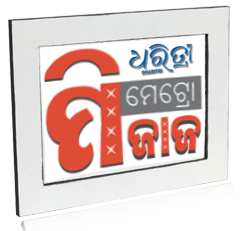 Being the only neutral publication in the State, Dharitri enjoys the trust and confidence of the people of Orissa.